Home » People & Places » Michael Blease out as FFB General Secretary? Michael Blease out as FFB General Secretary? 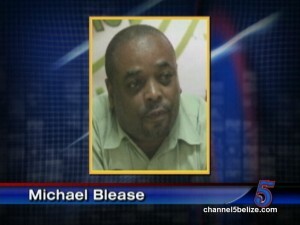 Michael Blease could be on his way out as General Secretary of the Football Federation of Belize as soon as tomorrow, Wednesday. News Five has been informed that the executive of the Federation, still reeling from an attempt to hold a General Congress that ended up dead on arrival, has moved against Blease, informing him that they cannot work with him anymore. Blease has not officially received a letter of termination and, through our sources, has declined comment for now. However, we are told that on Wednesday a replacement could be on his way to the F.F.B.’s headquarters in Belmopan. The Federation is in a holding pattern after a majority of football associations boycotted the Congress held in Belize City, where among other things the impasse in the selection of a president would have been ended. Marlon Kuylen remains interim president and would have faced off with former president Ruperto Vicente. A third candidate, former vice-president Sergio Chuc, organized the boycott after being disqualified from running, with an appeal to the Court of Arbitration for Sport instituted but later dropped. Police, B.D.F. still following uniforms case; was possession a crime? Week three of KTV the Remix coming your way!